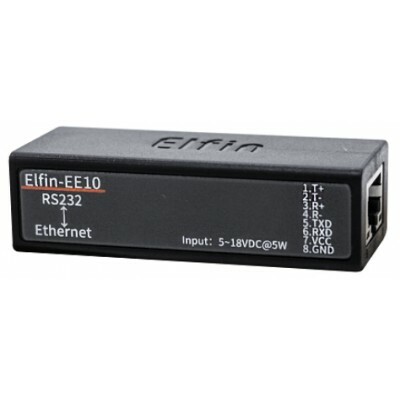 The Elfin-EE1X unit is a complete solution for serial port device connecting to network. 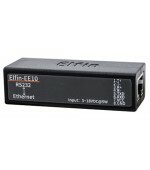 This powerful device supports a 10/100BASE-T Ethernet connection, a reliable and proven operating system stored in flash memory, an embedded web server, a full TCP/IP protocol stack,and standards-based (AES) encryption. 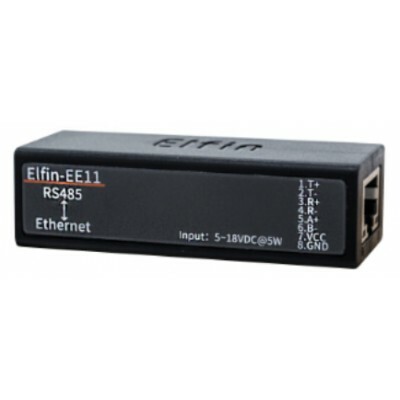 Through Ethernet cable connect router with Elfin-EE1X serial server for data transfer, which makes the data transformation very simple.